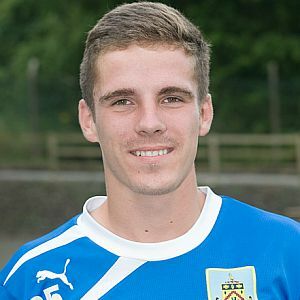 Holt is currently a second year scholar at Turf Moor and has been a regular in the youth team over the last two seasons during which time he has played in some big games including the FA Youth Cup win against Manchester United at Old Trafford last season and then the game at the Etihad against City in the following month. He was also in the squad when we so unfortunately lost to United this season. He's now going to get the opportunity to play some first team football for a team who are, it is fair to say, having a very good season. He went straight into Nelson's squad last night for the away game against Oldham Borough which they won 6-0 to go twelve points clear at the top of the First Division, and it was a game that saw a former youth team player from around a decade ago, Robert Grimes, net one of their goals.